I had avoided watching the Butler basketball game in the second round of the NCAA tournament because I’ve decided I can’t stand to watch sports games when I actually care about the teams. It makes me anxious. (I can’t watch The Amazing Race either because I get worried that the good people will miss their flights and the bad people will win because this is not scripted and evil sometimes wins.) 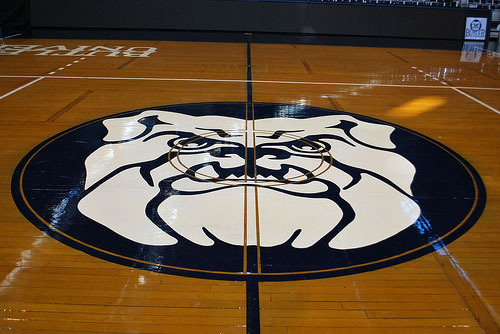 As I confessed last year, I love the Butler Bulldogs, and I still find comfort in the idea that there is a parallel universe somewhere in which Gordon Hayward’s buzzer beater shot from half-court actually landed in the basket, they won the tournament, and someone is producing a movie about it. And I don’t even care about basketball! My dad and I watched the timer run down to 8 seconds (actually, I watched through my nail-bitten fingers), and then it held at 8 seconds for awhile, which was driving me crazy because I didn’t care about the cheese college’s game. So, what does a girl without cable do? She gets her Twitter on! People are always clogging up my Twitter stream with stupid talk about basketball, and now I was finally grateful for it! I pulled out my laptop and searched Twitter for the #butler hashtag. Oh, marvel at my ingenuity, me the 21st century girl (without cable). So, something important had obviously just happened, but who was the Butler fan and who was the Pittsburgh fan? Why couldn’t their Twitter names be @ButlerRocks and @Pitts4Evah or something? Then the clock restarted on the TV and then stopped again at 2 seconds, which is when the Twitterati let me know someone had done something stupid, though I could not determine what. I kept hitting refresh, refresh, refresh, trying to sort out facts from the chatter, and finally figured out that Butler had gotten the upper hand by one point and was good to win the game when—d’oh!—somebody fouled Pittsburgh, which meant they’d get two free throws and might win the game. This was when I remembered why I DON’T WATCH SPORTS GAMES THAT I CARE ABOUT. I evidently needed to expand that rule to include not searching Twitter for hashtags about sports games I care about. Finally after several tweets about overtime, fouls, and the bowel movements of the tweeters in question, I finally figured out that Pittsburgh had fouled Butler (God only knows how), so now Butler had two free throws to break the tie and win the game they really should have won several seconds ago. I kept clicking the refresh button and again there was the “YESSSSSSSS!!! !” and the “NOOOOOOO!!! !” and I was like, “Yes! No! Yes! No! What the hell happened?!?! ?” Finally, FINALLY, enough tweets came through for me to learn that my boys had come through and Butler had finally won, snatching victory from the jaws of defeat that they had just snatched from the jaws of victory, like some sort of metaphorical turducken, all stuffed within each other. It was a rather odd way to follow a basketball game, as thrilling as it was confusing. I had to wait 20-30 minutes before CBS finally showed the highlights, so I was glad I hadn’t been stuck in a clueless vacuum with only a cold infographic to keep me company. Later I poked around the NCAA site and learned you can watch live streaming video of games, which would have been good to know earlier, but probably would have been choppy and unreliable because of buffering and datastream speeds and all that nonsense. Watching a game in ASCII takes much less bandwidth. Tomorrow is the official release date for my book Chocolate & Vicodin: My Quest for Relief from the Headache that Wouldn’t Go Away. Someone told me they found it in a Barnes & Noble this weekend and Amazon started shipping it days ago, so it’s already starting to trickle out. Tomorrow you should be able to purchase it from fine bookstores everywhere, and if they don’t have it, ask them to order it. Thank you to everyone who’s made this possible, including you guys. Some of you have been reading this blog for years, and I might know you better by your email addresses than by your names, but I’m grateful for all your support. 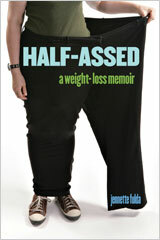 I’d like people to start spreading the word about the book. I know that most of the books I read are recommendations from friends, bloggers or people on Twitter or Facebook. 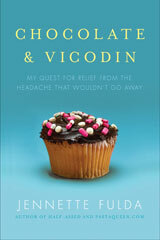 I want to encourage you guys to let your friends know about Chocolate & Vicodin, so I’m launching a contest. Visit the Chocolate & Vicodin: Spread the Word Contest page and you can enter numerous different ways to win either an iPod Shuffle, a $25 Amazon gift card, or a $10 iTunes gift card. You can tweet, like the book on Facebook, leave reviews on Amazon or Goodreads, email your friends, or post the video trailer or a site link on your blog. 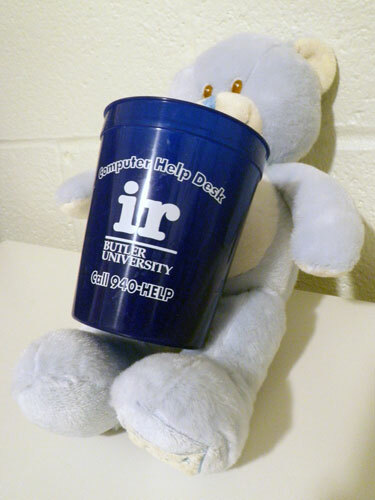 Once you do, submit proof via that form and you’ll be entered to win! Winners will be drawn randomly. Anyone is eligible, including international readers. The contest is open until 11:59pm EST on May 30, 2011. Thanks for spreading the word! If you listen to public radio, you might have heard me this weekend as a call-in guest on Marketplace Money. Unlike any of my other media appearances in the past few years, this one had nothing to do with my books, my blog, weight loss, headaches, or anything relevant to my online presence. Instead, I had a question about a $2600 request for overpayment on a 401K rollover from my last employer who made a vesting error on the employer’s matching contributions and oh my God do you want to stab your eyes with a rusty paperclip yet? Because I do. Anyway, I wanted some help sorting out this financial mess that was not my fault but is now my problem, so Tess Vigeland and Kathy Kristof came to the rescue. You can listen to it by clicking the “Listen to the Show” or “Listen to this Story” buttons on this page and scrolling to the 21:35 mark. I even slipped in a plug for PastaQueen.com! I’m getting much better at this self-promotion stuff. I have never actually attended a Twitter chat, probably because I am 30 now and far too old to understand you youngin’s and your twittergraphs. But, if you are into that sort of thing, there’s a TweetChat happening tomorrow night, November 3, from 6pm-7pm ET hosted by The American Physical Therapy Association (APTA). The chat will be about staying active and living healthy. It’s hosted by AOL’s That’s Fit blog. Talli van Sunder, PT, DPT, a blogger, health expert and APTA Member, will be available to answer questions. To join the Tweetchat, visit http://tweetchat.com/room/MovePT, login to Twitter and follow the hashtag #MovePT. Dolls like these are called “amigurumi,” a Japanese term that combines the words for “crocheted” and “stuffed doll.” I used the Lion Yarn pattern for an amigurumi chick (requires free registration to view). I crocheted the body with a strand of teal yarn and a strand of blue eyelash yarn worked together, which gave it the fuzzy appearance. The eyes are black buttons, and I made the feet with yellow pipe cleaners so the bird can perch on her desk. I hope it will keep her company as she is coding the future. 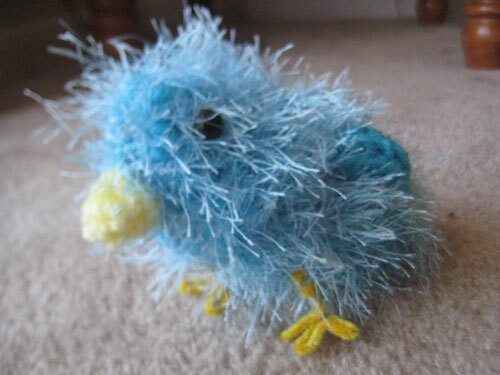 Tweet, tweet! Not all of my readers follow me on Twitter. Either they don’t understand this whole Twitter thing or they don’t care about tweets and retweets and twittermania, or it’s just too much work to keep up with a blog and Twitter and Facebook and OMG my head is gonna’ explode! That’s cool. I get that. Millions of people were texting before I sent the first message on my cell phone, and I still don’t know what Google Wave is or what it does or why I should care. However, I wanted to share my tweets with the segment of my blog readers who don’t subscribe to Twitter, but I also wanted to incorporate them in a more organic way than that widget in my sidebar allows. So I’ve updated the home page of my blog so my recent tweets appear in the stream. Both the blog posts and the tweets are sorted in descending chronological order in regards to when they were posted. The tweets do not appear in my blog feed. I figure, if you want to subscribe to my Twitter posts, you’re already doing that. There’s no need to duplicate info you already have. I did this update for the people who read the blog by visiting the web site every day. The tweets only appear on the home page, not in my archives (though I might change that eventually, when my eyes aren’t burning from staring at my monitor). You can’t comment on the tweets like blog entries either, because that’s a bit more complicated and I don’t feel like figuring that out right now, because as I mentioned before, OMG my head is gonna’ explode! Please let me know what you think of this new feature. Do you like it? Is it annoying? Do you not care one way or the other? Is it displaying funky on your computer? Thanks, and I hope you enjoy.